Once when your blog starts to generate more traffic, you are (or you will be) confronted with recurring questions from your visitors. While helping your readers is a sympathetic activity, it can also quickly become tedious. Therefore set up a FAQ might be a good idea. To answer technical questions when your readership is mostly technical, “What camera do you use? “” What blogging platform do you use? “” Can you help me do a blog? is often asked. This type of FAQ will help your readers to quickly access this information together in one place and you also avoid a number of emails. You can be more accurate and comprehensive in your answers in the FAQ. Do you or do you plan to do a FAQ on your blog? What questions do you say most often? We are are listing the best practices for making a website load faster. 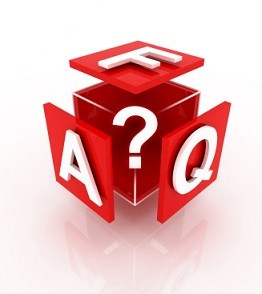 Cite this article as: Abhishek Ghosh, "Why you need to setup a FAQ page on your website," in The Customize Windows, April 12, 2011, April 24, 2019, https://thecustomizewindows.com/2011/04/why-you-need-to-setup-a-faq-page-on-your-website/.